following OR-224 Estacada. Follow OR-224 through the town of Estacada then 10 miles up and over a long hill until you reach Moore Creek boat access site just beyond mile post 35. 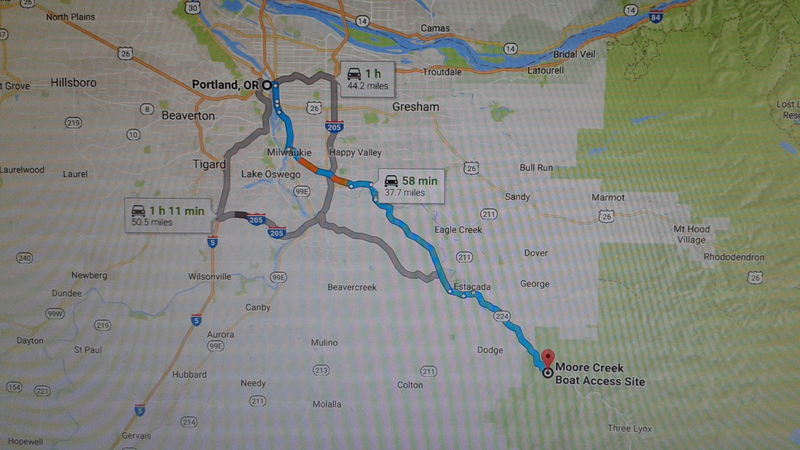 WHERE TO MEET US: If you Google Northwest Whitewater Adventures and use that address, you will arrive at the wrong place! Please meet us at mile marker 35 on OR Hwy 224 at the Moore Creek Boat Access Site, located 10 miles east of Estacada, OR. There is no address for this location and you will lose cell service east of Estacada. Guests should arrive on or before their scheduled trip time. Late arrival/ no shows are subject to forfeiture of trip without a refund.